Orlando City Commissioners had time to attend the MLS soccer stadium groundbreaking, but Commissioner Regina Hill (second from left) did not have time to meet or even speak with others on her committee to advise incorporating community elements into the project. With a one-sentence response, newly elected Orlando City Commissioner Regina Hill summed up the supposed Parramore “advisory committee” which was to help incorporate local culture and history into the proposed controversial Major League Soccer stadium. In another stunning signal that local Orlando leaders serve special interests more than the community they are elected to represent, Commissioner Hill was blunt in her honesty, but sadly it is her constituents who continue to lose. 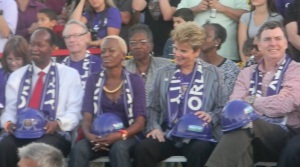 Back on August 4th, Hill and Senator Geraldine Thompson were touted as the new “leaders” of a Parramore committee set up by Orlando City Soccer in an attempt to respond to continued community opposition to the changing project. Commissioner Hill represents the Parramore community in her district. But in nearly three months, Hill has done absolutely nothing with the committee. In fact, Hill admits she has not even spoken to another member of the committee, nor her co-chair Senator Thompson about the matter. All this while the soccer team presented its latest version of designs to major opposition from the City Appearance Review Board. “I haven’t met with anyone on the advisory group nor spoke with them regarding said construction,” Commissioner Hill responded to a public records request last week. So does Orlando’s newest Commissioner simply wait to take orders and guidance from Mayor Buddy Dyer and his administration? There are reports Walter Hawkins, one of Dyer’s top directors, has been busy attempting to control this committee and the process of pushing the stadium through. At least one of the apparent committee members was not even aware that Parramore Avenue would be closed, as Dyer’s new stadium location sits right on top of the major community road. Maybe if the do-nothing committee actually discussed the project things would be different. But it’s all just another lie to Parramore and the larger community. It’s just more smoke and mirrors. So what will this group realistically even contribute to the process? No more than what they’ve already contributed: absolutely nothing. Meanwhile, the gentrification of historic Parramore continues. 6 Responses to "Another Lie: Orlando City Soccer Parramore Committee Does Nothing"
It’s all about a photo op..Regina Hill has done nothing..she takes from everyone else to make her look good and she is a liar!!!! Yeah. Let’s blame newly elected commissioner Regina Hill for all the problems of the city. She’s been there for months, how long is this Commissioner going to try to use the “I’m new, I can’t do anything” card? And if she can’t do anything, she shouldn’t be chairing a front committee for the soccer team. 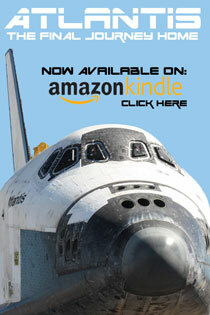 Geesh, are our elected officials ever going to take responsibility for the offices they hold and take some real action? It sure would be nice to see for a change on the City Council. I think she is doing a great job. She obviously wants to bring on better opportunities for the residents of Parramore. The soccer stadium will bring jobs to the area. It, hopefully, will bring other businesses to Parramore which in turn will help the residents. Harlem in New York City was once a struggling community but not anymore. Over The Rhine is Cincinnati was a struggling community in Cincinnati but because of city investments it is prospering bringing opportunities for everyone. I think Commissioner Hill is hoping to bring these same opportunities to Parramore. I believe she is going to help our community grow. THERE ARE POWERS,A LOT STRONGER THAN HILL,THAT CONTROL CERTAIN THINGS,HILL IS TOO YOUNG IN BUSINESS TO MAKE A REAL IMPACT RIGHT NOW.A ROCK AND A HARD PLACE.